Η προετοιμασία για κατάχωση του χάλκινου αγάλματος Δία ή Ποσειδώνα (Συλλογή Χαλκών, αρ. Χ 15161), από τη θαλάσσια περιοχή του Αρτεμισίου Ευβοίας. 1940-1941. Η απόκρυψη του αγάλματος του κούρου του Σουνίου (Συλλογή Γλυπτών, αρ. 2720). 1940-1941. Η απόκρυψη του αγάλματος του Ποσειδώνα από τη Μήλο (Συλλογή Γλυπτών, αρ. 235). 1940-1941. The National Archaeological Museum was founded in 1829. It was the first museum founded in the Greek state after the revolutionary struggle and the liberation of Greece from the Ottoman yoke. Its original headquarters were in Aegina, the first capital of Greece. 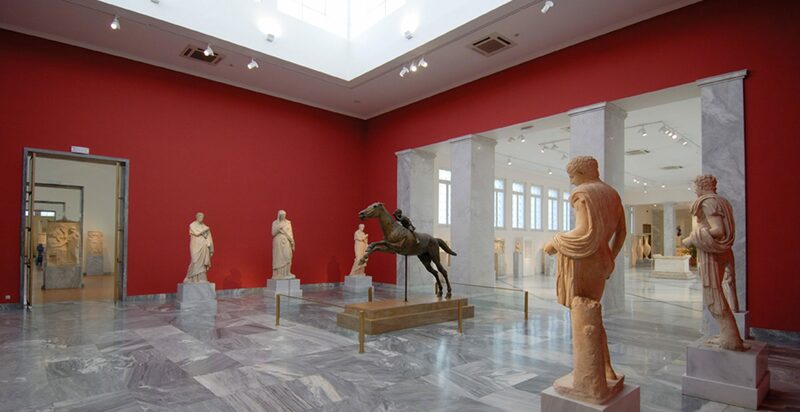 With the transfer of the capital to Athens in 1834, the seat of the Museum was transferred. The antiquities were housed in various buildings and monuments. 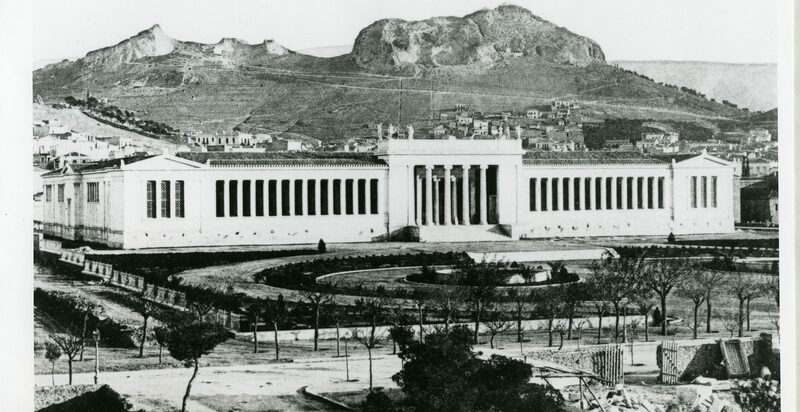 In 1866, with the donation of the land by E. Tositsa and the sponsorship of the Bernardakis family from St. Petersburg, the construction of the present building of the Museum began in L. Lange designs and E. Ziller’s modifications on the façade. 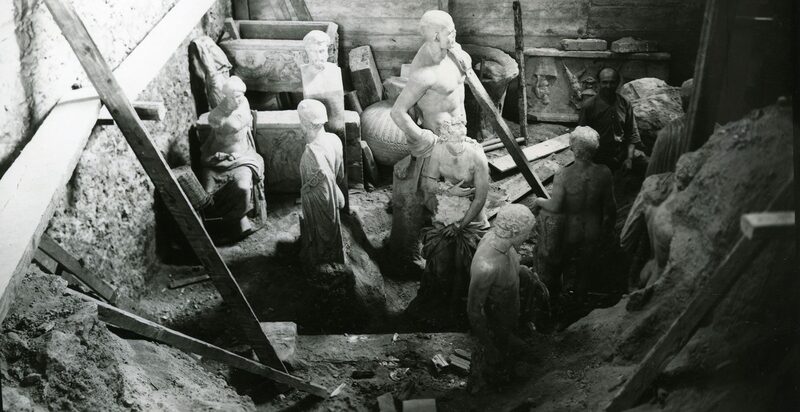 In 1889, the Museum opened its gates to the public, presenting its permanent exhibitions, which then consisted of parts of today’s Collection of Prehistoric Antiquities and the Sculpture Collection. 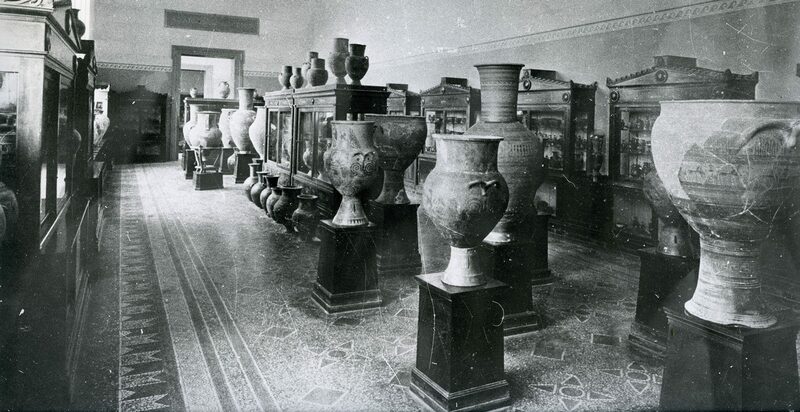 During the first half of the 20th century, the Museum was enriched with many antiquities that came from excavations in various regions of Greece. Between the years 1932 and 1939, the Museum was expanded to the east, designed by architect G. Nomikos. During the period of its delivery of the extension of the Museum, the Second World War was declared. 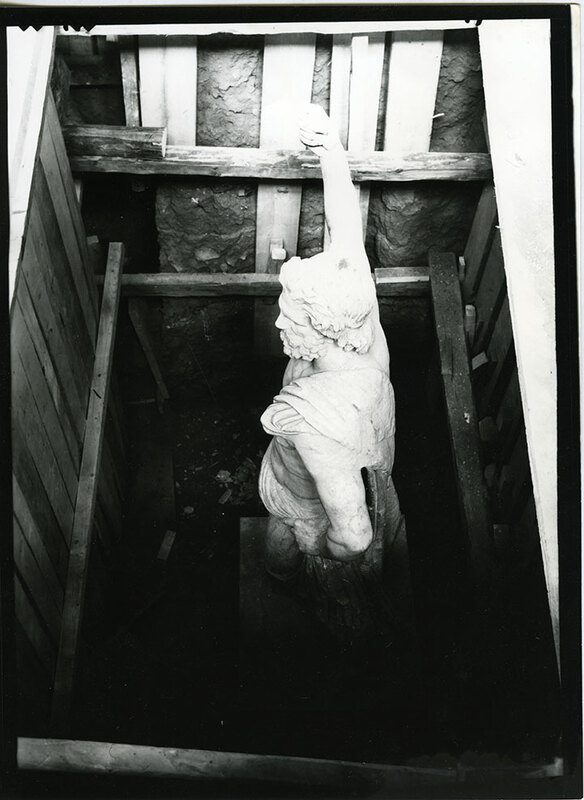 To address the dangers of the war and based on current general planning, the antiquities of the National Museum and other museums in the country were boxed and buried in the basements of the Museums and elsewhere. These actions have led to the effective protection and preservation of antiquities from disasters and erosion. 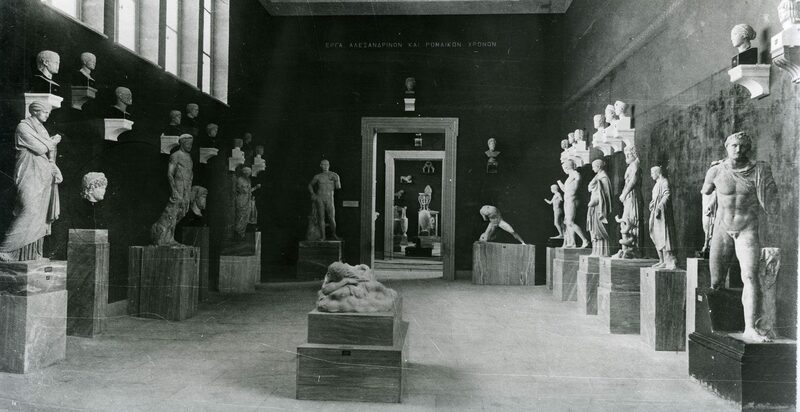 During the period of occupation of Greece (1941-1945) by the German troops, the Museum was commanded and many of the services were installed in the antiquities. 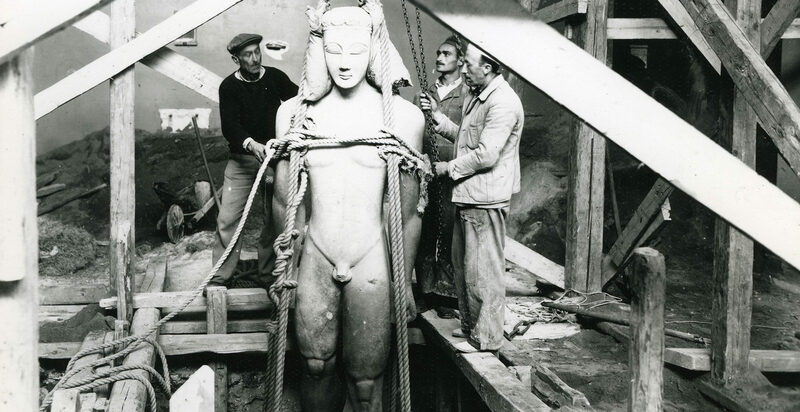 Upon the end of the war, repair works were commenced in the building of the Museum, which functioned again from 1947. 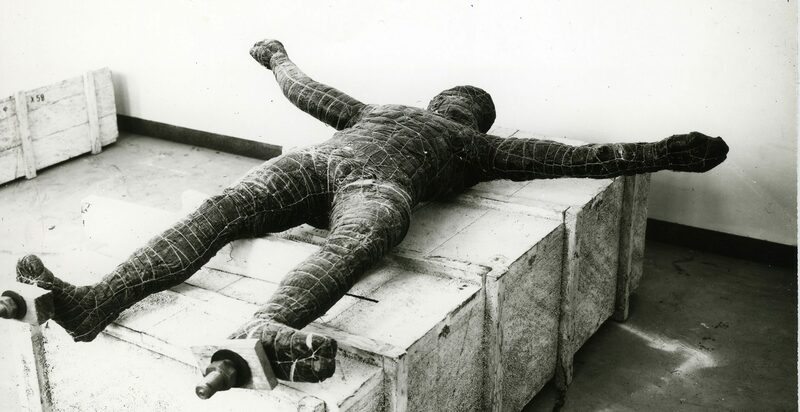 From 1947 until 1964 the re-exhibition of his collections was completed. The Museum suffered from the 1999 earthquake. During the years 2002 to 2004 renovations were carried out at all of the Museum’s exhibition grounds. With the departure of the Numismatic Museum and its installation in Ilios Melathron, the National Archaeological Museum expanded. From 2004 until 2009, the permanent exhibitions of the National Archaeological Museum were opened to the public: the Collection of Prehistoric Antiquities and the Collection of Sculptures in 2004, the Vascular Collection and the Copper Collection in 2005, the Stathatos Collection and the Egyptian Collection in 2008, the The Collection of Silver Sculptures, the Collection of Blastos – Serpieri, the Collection of Gold Jewelry and Silverware and the Collection of Glassware in 2009. Upon completion of its renovation, the National Archaeological Museum now presents to the public antiquities, they break the period from the 6th millennium BC until the 4th century AD. 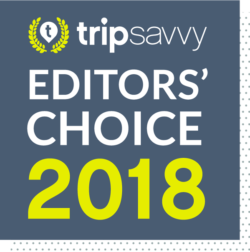 They come from Greece, Cyprus, Egypt, Italy and other regions and represent a panorama of the ancient Greek world, its cultural achievements, as well as its contacts in the eastern Mediterranean. 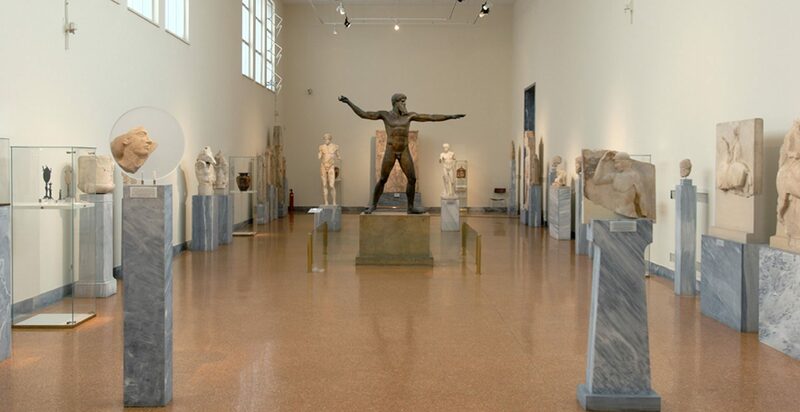 From the 1980s to the present day, the National Archaeological Museum has been carrying out thematic or longitudinal periodic exhibitions, with many interesting subjects. A number of the antiquities of the Museum’s periodicals travel as short-term loans to museums in Greece and abroad. 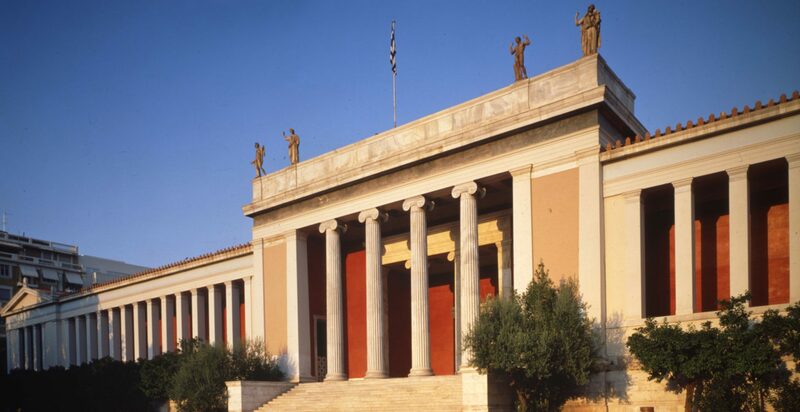 Since the end of the 20th century, the National Archaeological Museum, in addition to its own multifaceted cultural and educational activity, has participated in numerous exhibitions of Greece and abroad.